After a one mile run and lots of doing nothing, I made dinner. 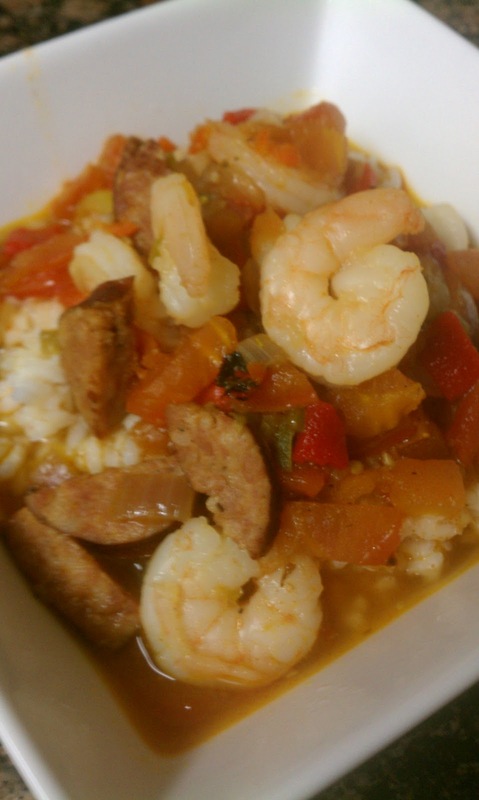 I used the leftover sausage and shrimp to make my version of Jambalaya. Spray pan with cooking spray. Saute onions until translucent. 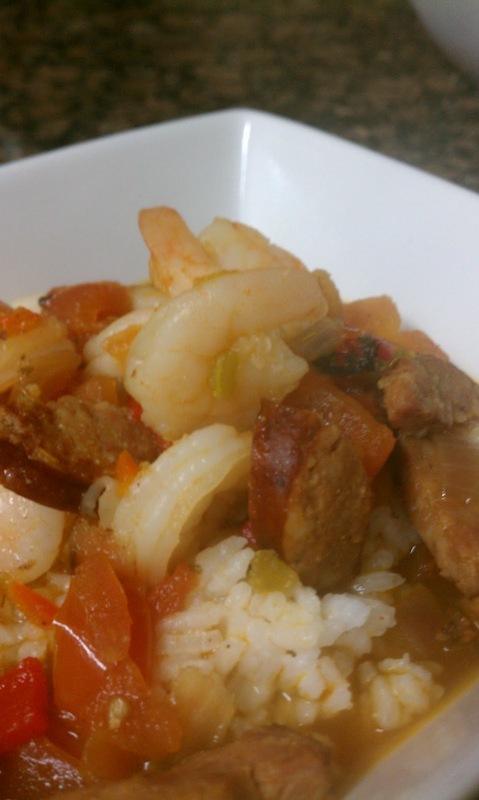 Add garlic, peppers, tomatoes, and sausage to pan. Cook 5 minutes. Add stock and seasonings. Taste to check seasons and add salt and pepper as needed. Add Shrimp and cook until shrimp turn pink. I think the Cheesy Bread was the best part!! 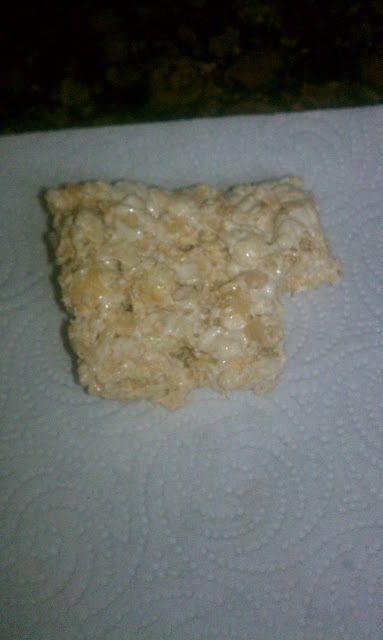 Add Rice Krispies and stir to combined. Spread onto a baking dish sprayed with cooking spray (I used butter flavored) and allow to cool completely. 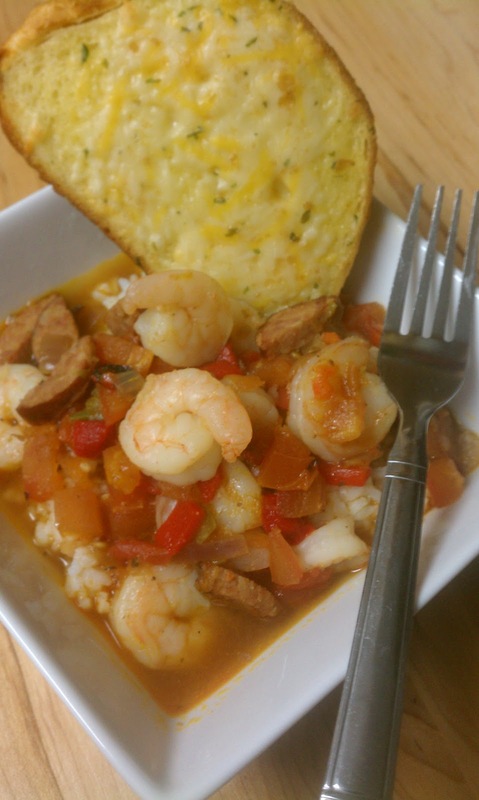 The directions make this recipe seem easy, but it requires lots of stirring! 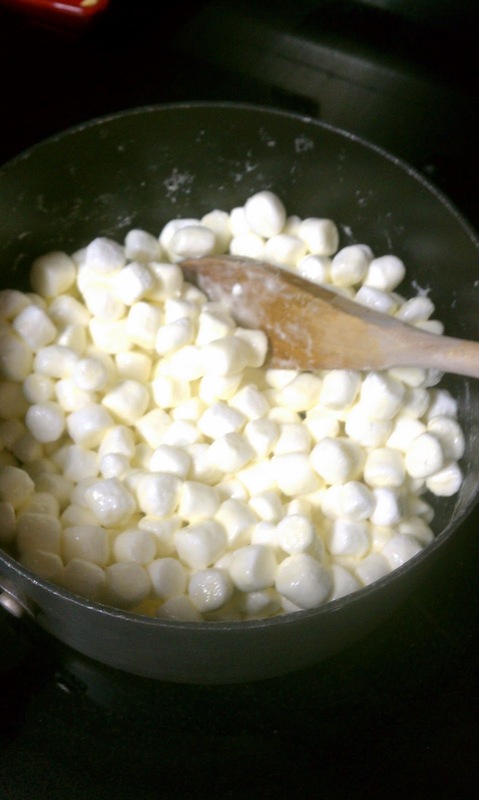 My arms started burning before the marshmallow started melting. Already taking a break from stirring!! I have a job interview Friday at an office right down the road. I'm happy to have an interview somewhere! Now time to relax. It is hard doing nothing all day! !